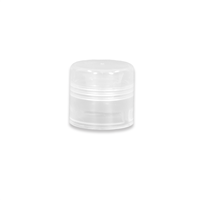 Our ready-made Lip Balm Base for tubes and sticks deal for lip products and lotion bars. Smooth base with conditioning feel. Readily accepts flavor fragrance, fragrance oil and color. Lip Balm. Lip Stick. Solid Perfume Base. Smooth base with conditioning feel. Readily accepts flavor fragrance, fragrance oil and color. All Natural. This lip product works best in lip balm tubes and lip tins. If pouring into lip tubes, pour at or below 130 degrees. Lip Products: In a pyrex cup, microwave base on low heat until liquid. Add flavor fragrance. Add lip-safe powder color, amount as desired. If pouring into tubes, for best results, pour around 130 degrees. Pour into lip containers. As it returns to room temperature, product will harden. Solid Perfume: In a pyrex cup, microwave base on low heat until liquid. Add fragrance oil or essential oil. Pour into shallow tin. As it returns to room temperature, product will harden. 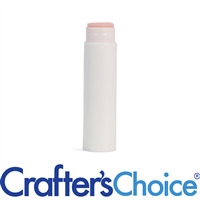 "Quick easy and complete "
COMMENTS: This lip balm base is really nice, easy to work with, and lasts a long time! 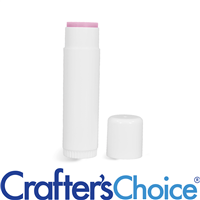 COMMENTS: My customers love this lip balm, easy to work with! COMMENTS: This base mixed really well with mica colorant and fragrance/flavoring. COMMENTS: I love this base! It performs so well and makes the lips feel great! We have so many customers loving it! I will continue to purchase over and over! COMMENTS: I was amazed at how well this base was! It’s easy to use and made a great product! COMMENTS: Works well in balms and salves if you're in a pinch and don't have time to make them from scratch. • Has a very strong aroma. COMMENTS: This is a very nice lip balm with a smooth texture. Feels great going on and and works very well. Excited to add color to the next batch. COMMENTS: Ready to use just add you prefered flavor. I choose bubblegum. COMMENTS: I happen to love this product. This is my second time to order this it makes the best and kissable lip balms. "Lip Balm Base for sticks"
COMMENTS: Great product for using in stick container. • Easy to our into lip tubes. COMMENTS: This is a great base for lip balms and gloss and for solid perfume. COMMENTS: Easy to use and made a great lip balm. COMMENTS: I found myself in a pinch in the middle of last fall/Christmas season. I ordered this lip balm base and I'm so glad I did. What a time saver. I didn't have to mix and measure my own concoction of oils and butters during a very busy season. I'll be buying more of this for sure. 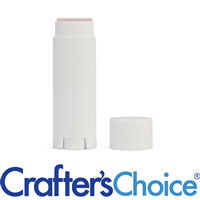 "New favorite lip balm base "
COMMENTS: Easy to use, and has a nice feel when applied. COMMENTS: No more guess work and I love that. COMMENTS: I read every single review before purchasing this! Was so convinced, that I ended up buying the 5 lb. Trust me, no need to read all the reviews!!! Just get it right now! You will love this! I've had others...nope...never again. I'm 46, my daughters are 22, 17, 13 and we ALL tried a bit as soon as it arrived and it was THE BEST... Hands down. Then, right before bed, applied some and next morning...words can't explain how these lips felt and looked. Balm was still on them too!!!! Enough said. Do yourself a favor and order...now! COMMENTS: So easy to use, feels great, and popular with customers! COMMENTS: I was hesitant in purchasing this base as I have been making all my lip balms from scratch for the past few years. I am so happy I decided to give this a try. It is definitely creamy but not overly. It doesn't leave a waxy feeling on the lips either. Fairly easy to scoop out of jar with sturdy spoon. Product directions state to melt in microwave, but since I am so health conscious I don't own one : ) I melted it in a pot on the lowest setting my gas stove offers. It took about 10 minutes to melt down 1 full pound completely!! No time at all! Afterwards, I simply added my flavour oils to it and popped my trys into the fridge for cooling. Very excited and happy with the end results!! No grit as some people have stated. I Just purchased more! COMMENTS: I was previously using a different base but never again. This base is non greasy stays on well and accepts flavor and color! I will be using this in my entire line. COMMENTS: I have purchased this base several times. It's so easy to melt, color and add flavor oil. Always a big hit at festivals. 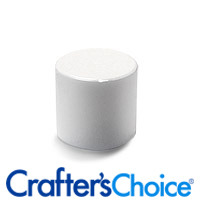 COMMENTS: I have used many lip balm bases from different companies, and this is my favorite! Nice and smooth, not too waxy. Takes color and flavor well. COMMENTS: I mixed this with Brazil Nut Butter for the most amazing lip balm I've ever tried! It's so smooth and long-lasting. I've been a lip balm junkie for as long as I can remember, even making my own many times and this is by far my favorite! I also love that it is made with all natural ingredients. COMMENTS: This is a great base for lip balm. It takes color and flavor well. There does seem to be a scent when you first melt this base down but it fades away. COMMENTS: We use this base in our stock balms. It has a smooth application sleigh a non sticky feel after applied and holds flavorings very well. COMMENTS: I bought this base because I could not figure out a basic recipe myself lol... as I am sure many of the ones who bought this base were probably in the same boat. Anyways, I really like the feel of this balm. It has a waxy feel and not an oily feel. So for those who don't like shiny lips like me... it is a thumbs up. Also men prefer this type of balm than an oily one. I made some samples and gave them to some family members and they liked it. I may try and make a solid perfume using this too but that will be way down the line, right now I am busy trying to create other products for my business. I bought the 1lb tub, can make so many lip balms with this. I used 1oz of balm and it filled 6 0.15oz lip balm tubes, hope that can help people when trying to figure out how many tubes this can fill. COMMENTS: This base is by far the best one I've used and my customers love how it makes their lips feel. "In Love with this Product!" COMMENTS: I'm trully in Love with these lip balms, you can create as many as you want a wide variety of flavors and colors, and the result is amazing! really recommended. Thanks WSP! COMMENTS: This lip balm base is perfect for my needs. 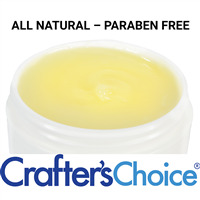 My company only sells all natural products, so the lack of preservatives is perfect for our lip balms. If your having trouble with this, I recommend leaving microwaving it in the container for a few seconds. This base is very easy to add scents and colors to, and doesn't get gritty, even if you don't place your tubes into a refrigerator right after pouring. All in all, I love this base, and so do my customers! COMMENTS: Love this lip balm base and it's staying power! I have sensitive skin and I am so happy to report that this does not bother me at all! 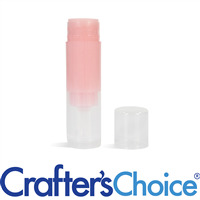 The possibilities for making quick and easy lip balms are endless with this fantastic base! A must have if you plan to offer lip balms! COMMENTS: Maybe I'm not in the norm but this just wasn't a favorite. It behaved well but I just wasn't a fan of the base in general. COMMENTS: I love this product. It makes great perfume solids. No muss no fuss. Going to purchase More. COMMENTS: it last for a long time. leaves lips feeling moisturized. COMMENTS: My customers love this base. They feel like it works better as far as moisturzing their lips than any commercial lip balm base brand that they have used. It accepts the flavor and color well. Works great on your cuticles too. Rubbing a little on your cracked fingers moisturizes and helps to heal those winter weather cracks as well. It has many uses. COMMENTS: This is definitely a hard formula, and doesn't work so well in tubs! It's good, though I think I might add a little something to it to make it just a tad more moisturizing. "Easy to use, no other smell, good moisture"
COMMENTS: Easy to use, no other smell, good moisture, shinny lip. COMMENTS: I get so many compliments on my lip balms thanks to this product. So easy to make. COMMENTS: Just flavor, color and fill containers. Easy peasy! COMMENTS: I use this base to make a variety of flavors of lip balm and I have received only good reviews. One of the main compliments that I have received for this balm is that it goes on smooth and does not feel waxy. It is easy to work with and accepts additives very well. I love it. "Awesome - Just like the pot base"
COMMENTS: Very happy with this product! "Very Nice for Lip Balms"
"Self confessed lip balm junkie!" COMMENTS: I have tried for years to make my own lip balms but could never get the consistency I wanted. This lip balm base is awesome! Nice feel on the lips, good slip, and stays on a long time. Not too waxy at all. Highly recommend this product. In fact I just ordered 5 lbs. of it! COMMENTS: Was making from scratch but gave it a try. It is a great product. COMMENTS: This product is amazing! It takes so much work out of making lip balm at home! I would recommend this to anyone who likes the M&P soap bases - same concept! COMMENTS: I use this base from WSP because it can't be beat! I make a lip-plumping, ant-wrinkle stick with this lip balm and cannot keep it in stock. The WSP Lip Balm Base is the best I've found anywhere. I've tried several other manufacturers/suppliers, and even though the formula for this kind of balm base is the same wherever you find it, WSP has the best in terms of clarity, consistency, and holding up under a high rate of active ingredients. It is well worth the price! COMMENTS: This lip balm base was very easy to use, feels terrific on my lips, takes flavoring and tinting well. Will purchase again in a larger size! COMMENTS: Love this lip balm base! Feels nice on your lips and is so easy to work with. No waxy feeling, and stays on for a long time. • Ingredients, feel on your lips. COMMENTS: This base made it so easy to make lip balms. It's a very smooth texture. COMMENTS: love it.. so easy to make a rub on perfume or lip balm with this. will continue to purchase. COMMENTS: Wasn't sure about this product but it has worked out really nicely. Customers all love it and I do to. Will continue to buy. COMMENTS: This base is very easy to work with and sets up every time!! COMMENTS: Perfect blend for a lovely balm or stick so much fun very easy. COMMENTS: I love this base and use it for balms, salves & lotion bars. I am amazed at what this base can do for your product line! My customers love it! I have a loyal following of customers that purchase because of this base! Makes lips and skin so soft. I will always keep this base in stock. Never change it and never stop selling it please! COMMENTS: Easy to use, nice texture. Just the right amount for kids to work with. Takes color and flavor well. COMMENTS: This is a great product! Easy to use, accepts Flavor and color well, and best of all - all natural. My customers love it in a variety of flavors! A lot easier than making from scratch. COMMENTS: This product couldn't be better! Easy to make! There is a reason it is sold out alot of the time!
" Lip Balm Base for Sticks"
COMMENTS: Everyone who gets lip balms from me love them and want more. Its very easy to use too. COMMENTS: I just LOVE this product. For the price you get plenty of lip balms and they formula is perfect; not too sticky nor too dry. I just made baby shower favor lip balms and they sure were a hit. I definitely recommend this product. "wow - so easy to use"
COMMENTS: and lovely lip balms sell very well - customers loved them. Was my first time to offer this product and it was very easy to use, incorporate additives, color, etc. None grainy, poured easily into balm tubes and feels great on our lips. Will buy more soon. New item in our permanent line up. COMMENTS: Had to sink hole but after watching video and tried the tip of melting top and adding a bit more they came out great! COMMENTS: Loved this product. It holds the fragrance and color very well. Customers loved it! COMMENTS: So easy and fast to use. Works great! The easiest product to work with and turn a profit. Customers really like it. COMMENTS: This is the best balm base I have found. I wish I had tried this first. COMMENTS: I love this base! Its so creamy almost like a butter! COMMENTS: I mix butters with this and it makes an amazing lip balm. Customers love it so far. 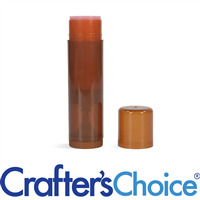 "Excellent Scent One of my Favorites "
COMMENTS: This is just what i was looking for making lip balms so easy . COMMENTS: I really love this product. It is not too waxy. It is perfect. It takes color and sweetener well. I love it and will be buying more. I added shea butter and cocoa butter to the base and it really worked out nicely. COMMENTS: Nice product for lip balm sticks or harder consistency pots. I mix this with the base for pots to make a nice pot of balm that is the perfect texture. COMMENTS: This is a Excellent Base, accepts Colors and Micas extremely well. Takes Flavor oils extremely well. Excellent performer. Will always have this on hand. My customers love the moisture and the protection it brings to their lips. I live in a very dry climate where you must keep your lips moist at all times :) Its Perfect. WSP Response: This base on its own is the perfect consistency for a lip balm tube. However, when you blend it with our lip balm base for pots it becomes too soft for a lip balm tube. I would recommend using the Lip Balm Base for Sticks only when making lip balm tubes. COMMENTS: I really like the ease of this base when I'm in need to lip balm right away. However, I prefer my from scratch recipe over this as it's too waxy. COMMENTS: I really didn't like the waxy feel this left behind on my lips. Also, to me it has a chemical smell to it that the flavor oil didn't cover up, but I haven't seen anyone else mention this in other reviews. COMMENTS: This lip balm base was very easy to use. This was used with the balm base for pots and I am very pleased with the consistency of it. Took color and sent / flavor oil great! Will buy again! COMMENTS: This base was great making my first lip balms. Very moisturizing and was easy to use with the lip balm tray, colorant and flavoring. I would buy again. COMMENTS: This IS the ONE to buy!!!!! This holds the scent really nice and is perfectly easy to use!!! COMMENTS: This lip Balm Base was so easy to use. It held the different flavor oils I used well and only required a small amount of color. I also used this to make fragrance sticks which came out awesome!!! Will definitely order this product again. "Love all natural paraben free!" COMMENTS: This is a great all natural balm that makes creating my lip balms a snap. Everyone loves the silky feel and that it is all natural. This is a keeper!!! Takes flavor oil and mica/oxides well. "Not Too Waxy Or Sticky"
COMMENTS: My customers love my lip balms made with this base. It takes oils well and isn't too waxy, but has a lighter feel. COMMENTS: Love this stuff!! Makes lip balms and chapsticks so much easier!!! COMMENTS: I love this lip balm base. It leaves my lips to smooth and i have gotten nothing but positive feedback from my customers. COMMENTS: I really enjoy this. It's moisturizing without being greasy, has no taste, and it's not too soft. Next I'm going to try it as a solid perfume base. I can't wait to see how it works that way. COMMENTS: I am a big fan of this lip balm base. It is moisturizing and sets really nice. I like to combine this balm with the lip balm for pots to make the perfect lip gloss texture. This lip balm base for sticks will create a harder balm which is great for the sticks but too hard for the pots or lip balm containers. COMMENTS: This base made the product a breeze! Love the ease and price! Will definitely use again. COMMENTS: Balm is very nice, I prefer a little softer so I add additional oil but overall great. "I love this product and my customers do as well. " COMMENTS: This product is super easy to use. great quality!!!! I will continue to buy this lip base. COMMENTS: I agree with a review that said this was melt and pour for the lips. 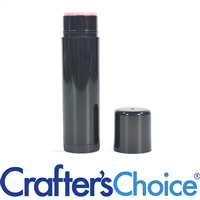 This makes it so easy to produce very nice quality lip balms quickly and for a good price. This base makes a very nice smooth and soothing lip balm. A must have for lip balms. COMMENTS: I used this as part of a kit. The lip balm base was easy to use and took color and fragrance very well. I will definitely be using again. COMMENTS: I was a little hesitant to order this base but I am sure glad I did. It really makes a great product and I have had several of my customers tell me that they think it is a great lip balm! It is smooth and has a luxurious feel. It couldn't be easier to use either. I weigh out the amount I want to use, melt it in the microwave, add my flavor and fill the tubes! I will be ordering again. COMMENTS: Really makes it super easy to make lip balms. Its basically m&p for your lips. I also use this base to make my lotion bars- I add a few things, but it is still very simple to make!! And it goes such a long way!! I have made so much already and barely out a dent into the 1 lb jar! COMMENTS: I have nothing bad to say about this balm. Its nice and thick and goes on smooth. Everyone loved it. COMMENTS: I enjoy the ease of making these lip gloss sticks. Can speed up production speed with this product. COMMENTS: Used to base and happy with results my husband wanted a little more beeswax other than that I'll will purchase again. A little goes a long way. Highly recommend. COMMENTS: Love Love Love this ready to use lip balm. Feels great on lips! Family and friends love it! COMMENTS: This lip balm base sure makes making lip balm a breeze. It takes my colorant and scents very well. It's easy enough that even my 14 year old has made some by herself. COMMENTS: I love adding my own oils into this base for really lovely finished products. I originally purchased it in a super large bucket (about 25 - 33 gallon size but you no longer carry it. I really liked the price on that size and I hope you bring it back again. COMMENTS: not a fan. too oily for my liking and a little soft. "Lip Balm base is great!" COMMENTS: I love my lip balm base that I ordered. I easily added some butters etc to it but it was great without it. I'll be ordering a bigger quantity in the future! COMMENTS: I love this lip balm base as do my customers! It is such a smooth combination of ingredients and then I add a scent or a flavor oil to it. Absolutely wonderful! COMMENTS: I love using this base to make my lip balms! COMMENTS: Customers love the way their lips feel using this base. I use the same base for solid perfumes and it works great. COMMENTS: I love that the ingredients are natural - and that I don't have to mix them myself! I have a few customers who are addicted and say it's the most moisturizing balm they have tried - even compared to commercial brands! I personally love it myself. I mix it with both flavor oils and essential oils and price them differently, but easy to use and mixes well with everything. It's priced great so I can make up a few huge batches of each flavor or essential oil I carry each season and it lasts forever. I usually don't have any left after each season - but I've personally kept a few lip balms around the house for me and even after a year it tastes and feels the same. I wouldn't sell them being that old but I love the fact that they remain true over time! "Heavy consistency - from scratch is better"
COMMENTS: I have to be honest, I tried this as an alternative to making lip balm from scratch to save time, but i prefer a lighter consistency with more glide and shine. COMMENTS: My customers rant and rave on my lip balms! This is such a great base and so easy to use! Life long buyer here! COMMENTS: In my opinion, I've used other brands that were far better. This one is OK. Melts great. The only thing I didn't like is the feel when I used it. It seemed very sticky and not smooth like others I've used. I added coconut oil to the base and at that point it seems less sticky. Price is OK. I bought the 5 lb bucket which was convenient. COMMENTS: Easy to work with and fast to set up. My customers love how it feels . COMMENTS: This lip balm base is silky smooth and so moisturizing. COMMENTS: Used this last night to make lip balms. Melts easy, pours great. After my lip balms cooled I tested one and it left my lips feeling a little gritty :( not sure why. COMMENTS: I love this lip balm base. Accepts flavor fragrance easily. "Wonderful product for lip balms"
COMMENTS: This is a wonderful blend that I use for my lip balms. My customers love it and it works very easily. I also use this for lotion bars, it's a great formula. I have tried ones from other companies and I like this one the best. It's also a reasonable price. COMMENTS: This balm has been a hit with customers. They love that its 100% naturally derived ingredients and the feel of it on the lips you know your getting good moisturizing and protection. I will say that you should give it a few days to sit as the texture does change slightly for the better. Couple with a nice lip safe fragrance oil and you will have an easy addition to your product offering. COMMENTS: I absolutly love this base! Easily accepts fragrance and essential oils and mica powders. Glides on with a nice smooth finish,not waxy like other bases. I will definatly be buying more! makes a very nice lotion bar blended with essential oils for psorisis. COMMENTS: This base is excellent for making lip balm and even lotion bars. I love how easy it is to take "chunks" of the base off the container to place them in my pyrex cup and melt. I didn't experience a "waxy" feel on my lips but a rather moisturizing feel which is really needed with this tough cold weather. If you microwave in bursts of 30 seconds for one full minute the base is all nice and melted. However, it did have an unusual scent but it doesn't overpower the fragrance oil once you add it :) I absolutely love this base I also love how the majority of the ingredients are natural! COMMENTS: I used it as my first time making a lip balm/gloss. I love the acceptance of the fragrance and the color. I can't wait to buy more and make more! So easy to use. 30 seconds in the microwave and it is ready to work with! COMMENTS: I added some hemp oil to this base and them slapped them in some tubes. They are selling like crazy. As soon as I run out I will purchase more - HUGE bucket!!! COMMENTS: This lip balm base is wonderful! I get a lot a compliments on my lip balms. It does not leave your lips feeling greasy at all and it penetrates and moisturizes deeply. "Used this to make my 1st lip balm"
COMMENTS: I had never made lip balms before and had considered making one like I do my soaps, my own recipe etc. Having no idea what the consistency of the lip balm should be nor having never made them before I was a bit concerned and didn't want to ruin a lot of products and tubes with a failed batch. I ordered this product as a learning batch and I have to say that I and my family love it so much that I'm not sure at this point if I will still try to make my own recipe or just continue to use this product. We simply love it. COMMENTS: I read all the reviews and I love this product. I did not find it too soft and I even added almond butter to it. One of my creations had a bad taste, the other didn't so I suspect it is the additives not this base that other raters refer to. COMMENTS: This lip balm base is wonderful, without adding anything to it at all. I have very sensitive lips, and I can use this lip balm without having a reaction, so in my book that makes this base perfect. It keeps my lips smooth and silky. I can't wait to try this in a lotion bar recipe. "Fabulous, easy to use lip balm"
COMMENTS: Fabulous base! So easy to melt and personalize. Will be ordering more as soon as I fill up all my tubes and tins! COMMENTS: this base is very easy to use and is moisturizing! COMMENTS: My customer say this is the best lip balm they have ever used and I sell tons of it at my shows. Thanks WSP for changing the packaging back (no more zip lock bags) so it's easier to get out of the container. COMMENTS: I love this base~ holds products well. "An easy way to get into lip balm making"
COMMENTS: The best ready to use base I've found, this is absolutely super creamy and isn't sticky or greasy. Customers love it! Very easy to fragrance, flavor and sweeten and doesn't cool with any grainy bits in it. I highly recommend this if you are looking to get into lip balm making but aren't ready to make a full from-scratch recipe yet. 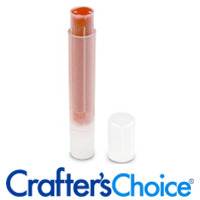 Even for experienced lip balm crafters, this is a good base to start with and other additives can be easily blended in. COMMENTS: I can't count the number of times my customers have told me how incredibly creamy and smooth this base is. (not waxy or chalky at all) Just add your favorite flavor and you've got the perfect lip balm! Absolutely wonderful! COMMENTS: My customers love this lip balm. A bit of flavor oil & WSP sweetener is my normal but some clients prefer unsweetened. Easy to work with and nice on the lips. COMMENTS: This is the best lip balm base available. Switched to this and my customers love it. COMMENTS: I used this product when I had first started making B&B (bath and beauty products). It is wonderful for lip balms and holds up well. It also mixes well with colorants and flavor oils. COMMENTS: Great in many products. COMMENTS: This is by far the best lip balm base I have tried!!! I have tested out other lip balm bases from a variety of suppliers and nothing adds up to the quality of WSP's lip balm base! COMMENTS: I have used this as a cuticle cream as well in small pots, scented with lemongrass FO. Customers love it and run back for more. Next I will try it in a solid perfume packaged in lip tubes for a convenient travel size. Also have used it for the lip balm and of course...wonderful! THX. COMMENTS: This is the best lip balm base I have ever used. It goes on smooth and stays on the lips for a long time. I can't keep it on the shelf. I have gotten rave reviews from my customers. Thanks WSP for another great product. COMMENTS: Wow, this was soo easy, and feels great on your lips. this product is a balm, NOT a gloss, so do not be disappointed when you do not see shine on your lips. I made bubble gum, cotton candy, and sweet berries, added gold glitter, amazing. This 1 lb. tub made 84 lip balm sticks using the .15 lip balm container. just ordered more!!! 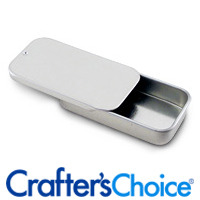 COMMENTS: The base is very simple to use, holds the E/O or Flavor Oils very well. I plan to add just a tad of cocoa butter or honey, otherwise, I do intend to purchase again! COMMENTS: NOTHING like this balm on the market. It has staying power and can be made into balm, gloss, and perfume base. Men love it! Color and fragrance perform perfectly and this is the BEST base WSP carries! "Long lasting and creamy! " COMMENTS: Still feel my lipbalm at the end of the day...this is really an excellent product! COMMENTS: I LOVE this lip balm, and have converted many exclusively-Bath&Bodyworks and Burt's Bees users to this product! My sister in law, who is really picky about her lip balms, says the feel of this one rivals any of the best balms she's used. It's not greasy at all, and almost has a "silky" feel. She describes it as "powder soft." COMMENTS: Humm, I'm generally really satisified with WSP's products but I have to say at first I didn't like this at all. When I got it, I immediately noticed that the balm felt kinda greasy out of the jar. But I decided to try and make a tube of it and see if afterwards it was nicer when melted & mixed. Although it's a bit better once melted and mixed it's still kinda greasy. But I decided to put some on & let it sit on my lips a while... it's suprisingly nice & thickens a bit from the greasy first feel. So if you're considering it, give it a try. It's very affordable. I may add more wax or cocoa to tone it down a bit. COMMENTS: This is the first time that I have made lip balm. It was very easy to make. Customer just love it! COMMENTS: I got this base and .25 oz pots to make therapeutic balms. I made a nail & cuticle balm with lemon oil & a bit of tea tree oil. It is AWESOME! I love it so much more than even the Burt's Bees one. This one seems to absorb into nails and skin whereas the BB's one just always feels greasy. Thanks WSP! I hope my customers love it like I do! COMMENTS: ditto to all the comments above! This product is amazing! Very nice and high quality! COMMENTS: I added a tiny bit of super sweet and the lemon and raspberry flavor oils and it turned out amazing. The only problem is it that I love it so much I am putting it on all the time! It lasts a long time on your lips if you don't lick it all off!